Here’s a hot freebie for you. Right now you can request a Free Sample Kit of Enfamil Enfagro A+ Toddler Formula. Its Enfamil’s brand of toddler formula for toddlers aged 12-36 months. You will get a Free Sample kit with 4 packets of formula. Limited one sample kit per household. 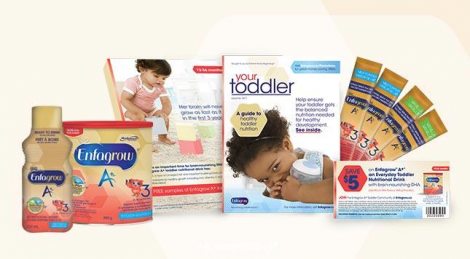 In addition to the free formula sample, you will also receive a Free Toddler Magazine and coupons. Click here to claim your free sample kit.